Stretch hiking cropped trousers that offer lightness and sturdiness, with stretch inserts at the rear, knees and scuff guards. The anti-tick/anti-mosquito treatment is a real plus, making these cropped trousers ideal for hikes/treks from spring to autumn. An excellent, must-have basic: light, breathable, practical cropped trousers with multiple pockets, offering exceptional value for money. Its Quick Dry fabric is anti-bacterial, odourless, and dries extremely quickly. 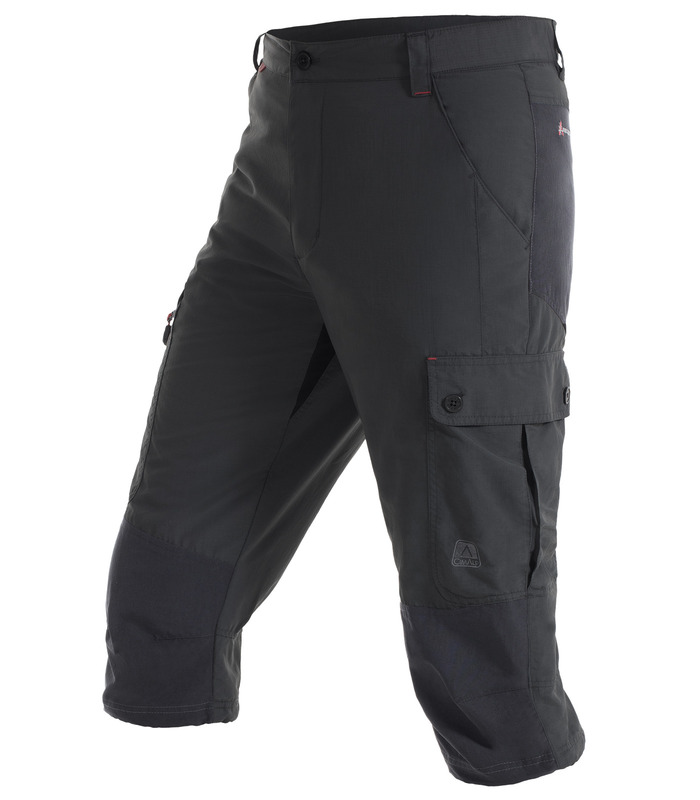 - 2 side cargo pockets, 1 with zip. - 1 rear pocket with zip. - 1 functional mini compass on the zipper. This fabric has undergone EULAN anti-mosquito treatment, tested by our professional guides in all 4 corners of the world. It protects against ticks and mosquitoes. It is OKO-TEX 100 certified, so it has been dermatologically tested. The special weave of the fabric ensures great UV protection. EULAN® treatment retains 80% of its effectiveness after 30 washes at 30°C. Active permethrin molecule. Comfortable and well-made, like me. Very comfortable to wear. Lightweight and well made. Very high quality product with quality finishes! True to the brand and previous generations of this product I do not regret this purchase. C is a garment of highly technical and the size is perfect and well protects the friction areas.